Players will be getting their hands on LawBreakers starting this weekend. LawBreaker developer Boss Key has outlined the roadmap for the release of the game’s upcoming alpha. The closed alpha begins Saturday, June 18. Boss Key is promising other “scaling tests”, which will take place over the course of the summer. 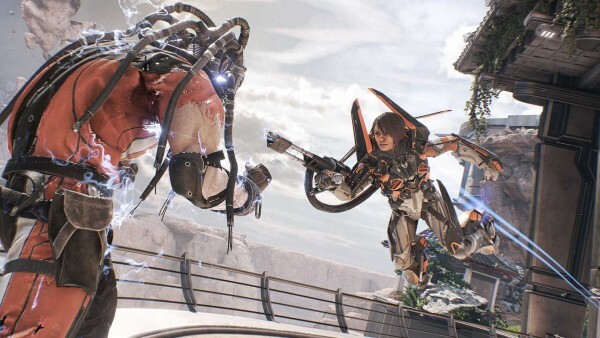 Later this year, LawBreakers will be available through Steam Early Access, as the studio continues to work on new content. Some of this new content is being shown at E3 this year, and will hit the alpha soon. This includes a new mode in Turf War, and the new Promenade map. Here’s the developers explaining the roll-out plan and why alpha tests are important. You can still register for a chance to get invited to future LawBreakers tests at the official site.